The father of Dallas police Officer Crystal Almeida said she is making a “remarkable recovery” and was released from a hospital after she was critically wounded almost a month ago in a shooting while on-duty. Almeida, 26, was released from a Dallas hospital Saturday. 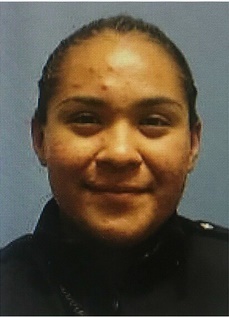 She and her partner, Rogelio Santander, 27, were shot April 24 outside a Dallas-area Home Depot as they were detaining shoplifting suspect Armando Luis Juarez, 29. Santander was killed in the shooting. Crystal Almeida was shot in the face and has undergone several surgeries. The surgeries included removing bullet fragments from her brain and excess fluids that had formed in the area, as well as facial reconstruction. Manuel Almeida told the El Paso Times his daughter is walking and talking, but has yet to regain her sight in her left eye.